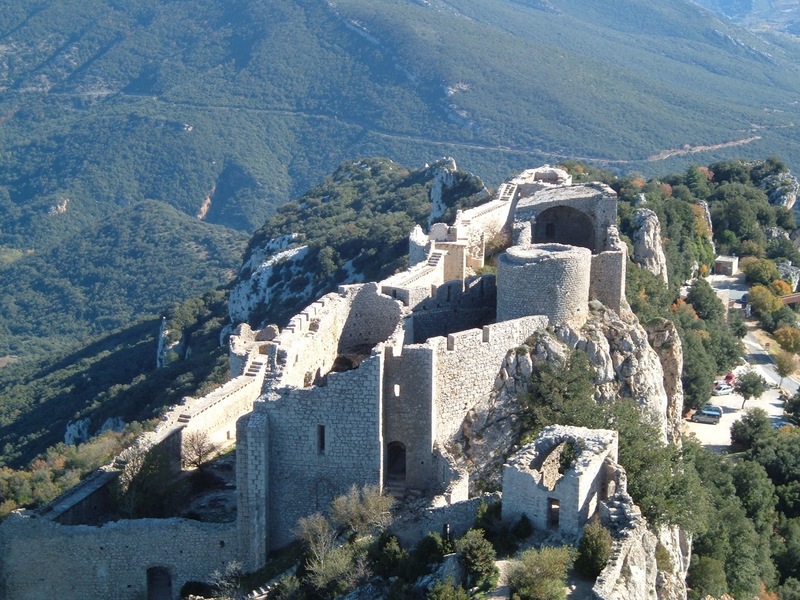 From the Mediterranean to the Pyrenees Ariegeoises in the heart of the sun blessed Corbieres region, or between Montsegur and Foix is where you can find the secret trails and castles of the chateaux Cathar. Imposing stone castles built high up in rocky crags or pogs. These fortresses are the symbol of a tragic, political intrigue and drama that shook the South of France. This walking holiday combines a historical interest that stirs the imagination as well as some memorable walking through lush unspoilt mountains and valleys. 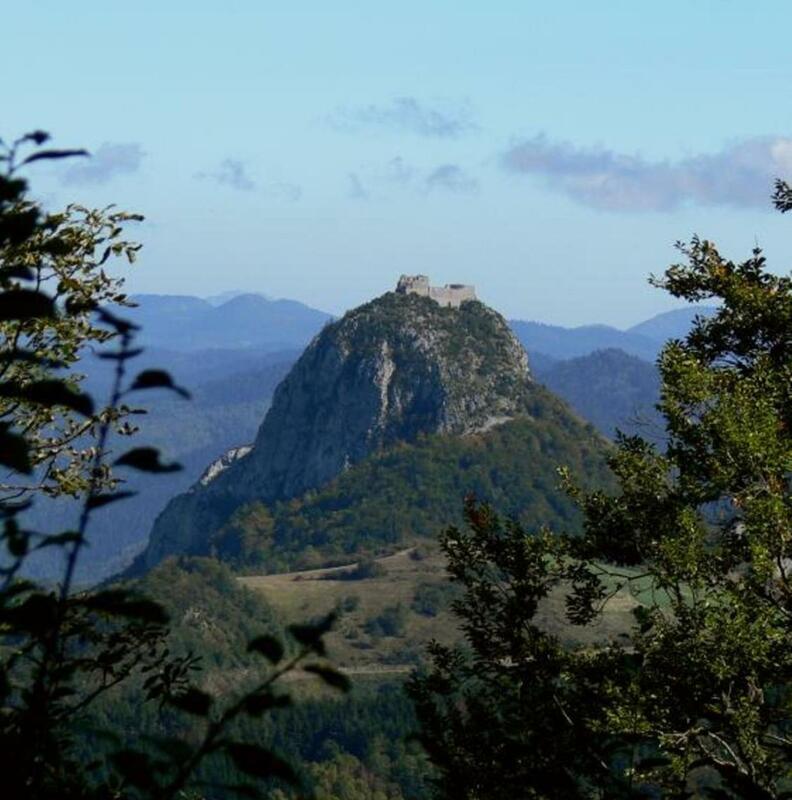 We offer the Cathar trail as a week itinerary from Quillan to Foix (H77) or you can book a 8 to 14 days walk along the trail from East (the Med) to Quillan (H78) or Foix (H80). B57 From Carcassonne to Carcassonne. 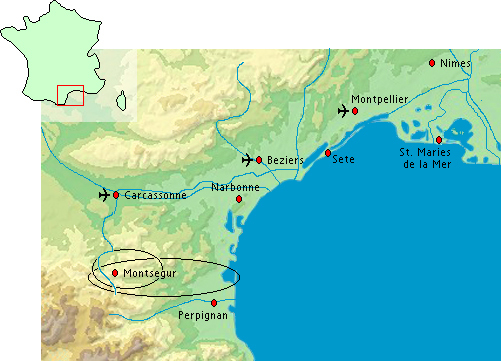 H78-2: From Port-la-Nouvelle or Carcassonne to Quillan. H78-3: From Port-la-Nouvelle or Carcassonne to Quillan. H80-2: From the Carcassonne, Tuchan to Monts�gur or Foix. H80-3: From the Carcassonne, Tuchan to Quillan.